After about a year from its first publication (see post), an updated version of the Farma Valley Community Map was published. 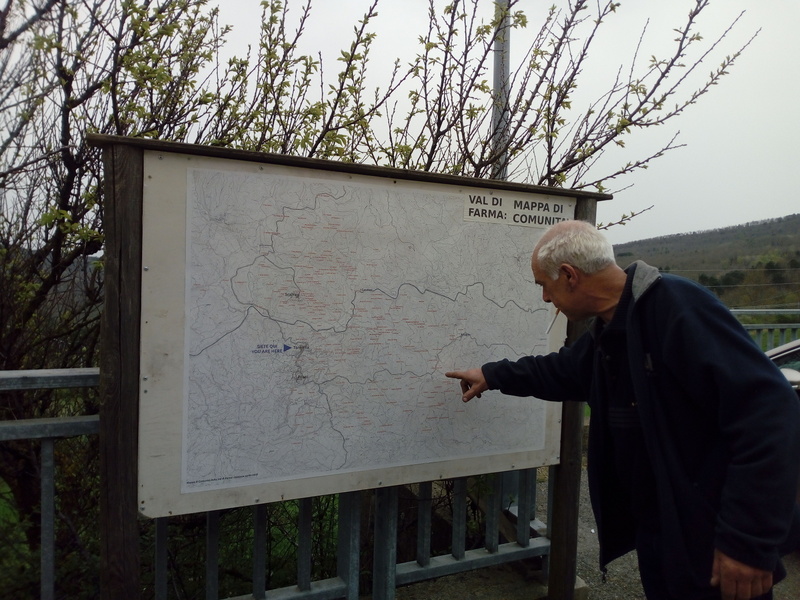 The creation of the map started in 2014, with points of interest being gradually added to the official 1:10000 base maps, leading to document water springs, old gardens, hunting sites and other toponyms related to the life of the communities of this lesser known part of Southern Tuscany. 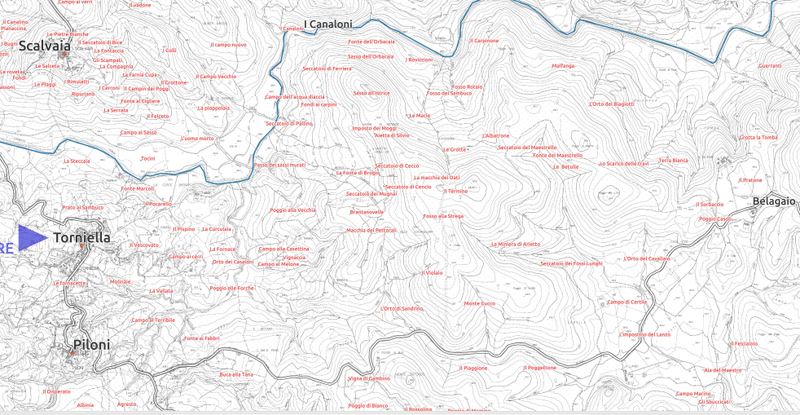 With respect to the previous version, the map has bee enriched with place names provided in the past months by the Community of Scalvaia, and the area of interest has been expanded to the East, including Poggio alle Pigne, while new surveys are being conducted in this area. Last but not least, the readability of the map has been improved. The data collected are made available as open data and are published on the Tuscan Region Open Data portal. Kudos to Pro Loco Piloni-Torniella for supporting the printing, and once more to the communities of Torniella, Piloni and Scalvaia for the data which they are sharing.